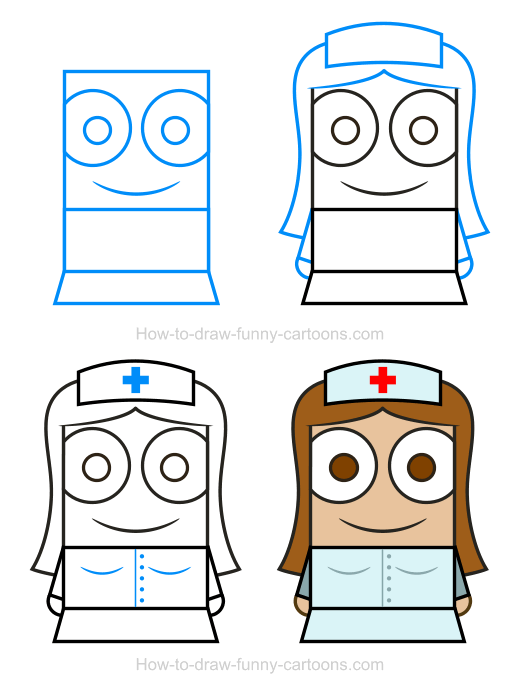 No need to work in a hospital to illustrate a fun nurse clipart like this one using basic elements! All you have to do is follow the tutorial found below and enjoy! 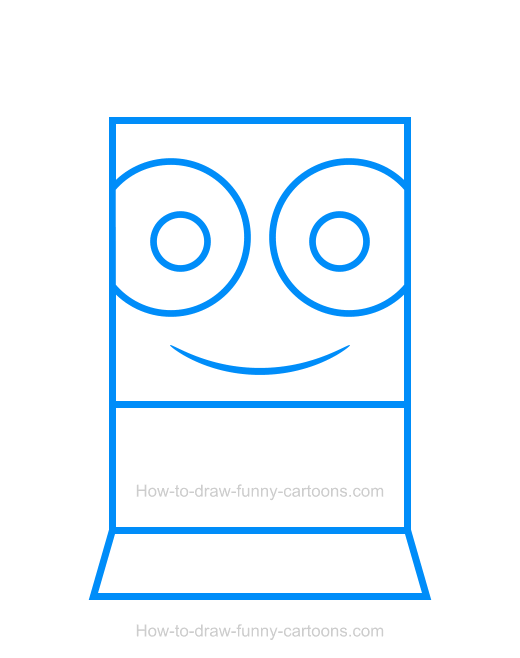 Using four easy steps, I will show you how to create this character made mostly from rectangles and circles in no time. Nurses are essential in all hospitals around the world. They are performing a lot of specialized tasks and very often, they will spend more time with each patient compared to doctors. Nurses are also important to create a vital link between the doctor, the patient and the families. 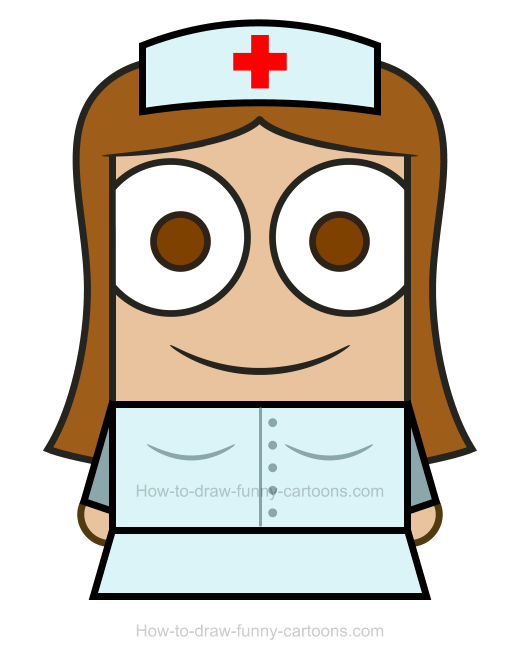 Let's see how we can pay tribute to this crucial job by drawing a nurse clipart quickly and effectively. 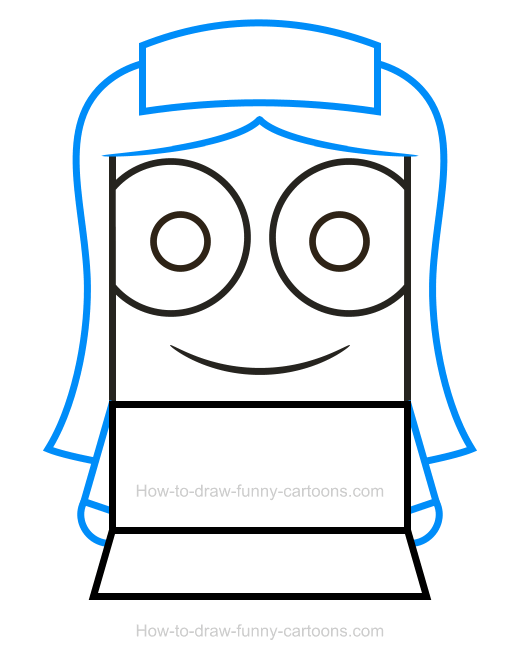 First, create a square to form the head of the cartoon nurse. Continue by adding a small rectangle below the head to illustrate the body. Then, another rectangle (that must be larger on the bottom) is drawn below the body to represent the skirt. Complete this step by drawing two large eyes using circles and pupils using smaller circular shapes. The mouth is made from a simple line. On top of the head of this nurse, draw some hair using long curved lines. A hat can also be drawn using a rectangle made from curved lines. The arms are done with thin rectangles and the hands are represented by small circles. It's now time to add a few more details to make sure this character actually looks like a cartoon nurse. Inside the hat, you can draw a large cross made from two rectangles. When you are done, you can sketch more details inside the shirt. First, a long vertical line separates the shirt. Five dots are used to create buttons. The breast of this female character are done using two simple curved lines. Time to add some colors! Usually, a nurse is depicted wearing a white outfit. However, this one can be hard to read on a white background. That's why I have decided to use a light blue color instead. The hair and the pupils are brown while the cross is colored in red. Details inside the shirt can be lighter to improve readability. Cool! This nice nurse clipart is visually appealing!